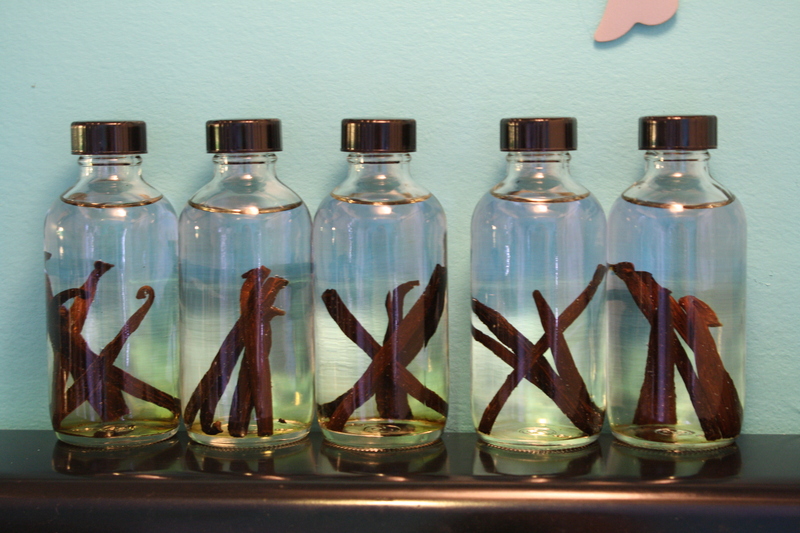 My friend Nikki and I finally got around to making Vanilla Extract yesterday. She found the bottles online and the beans at a REALLY cheap price. 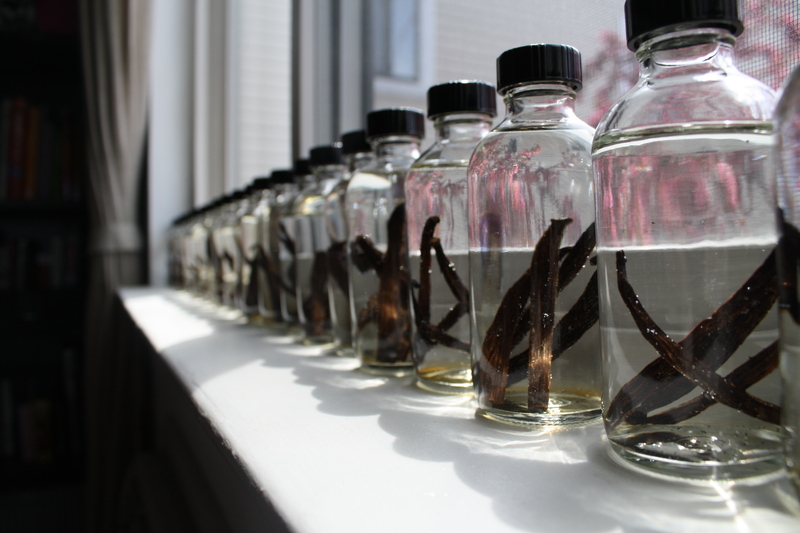 We had 201 vanilla beans and only used 60 of them. (I can’t wait to find recipes to use the remaining up). 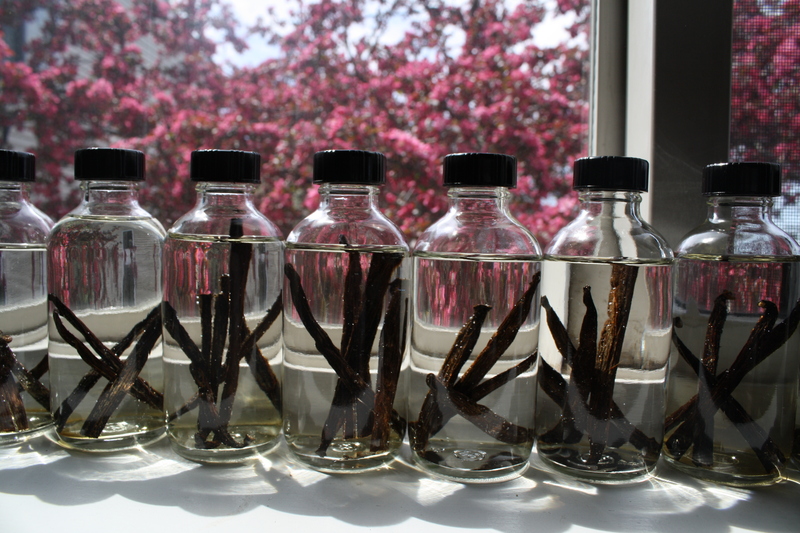 The process is very simple, we cut two beans and then cut them down the middle, dropped them in the bottle and filled it up with vodka. We used cheap vodka because all the alcohol will dissipate. They will have to sit for 6 months before they will taste the best. Nikki and I plan on taking pictures every week to show you how the color changes.